Manchester United return back from defeat to Juventus in the UEFA Champions League midweek by beating Everton 2-1 at Old Trafford on Sunday. 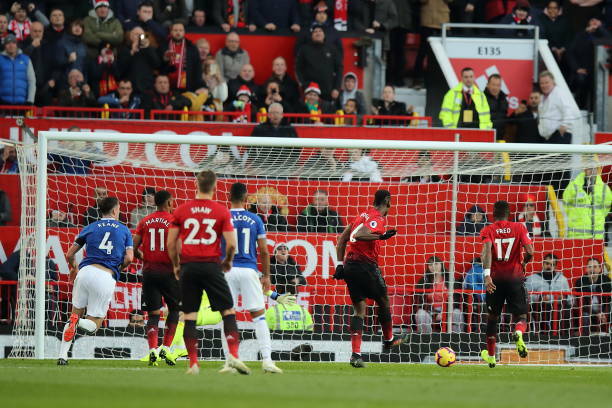 Paul Pogba scored in the 27th minute to give the Reds a lead as he perfectly side-footed home from eight yards after seeing his penalty saved by Jordan Pickford. 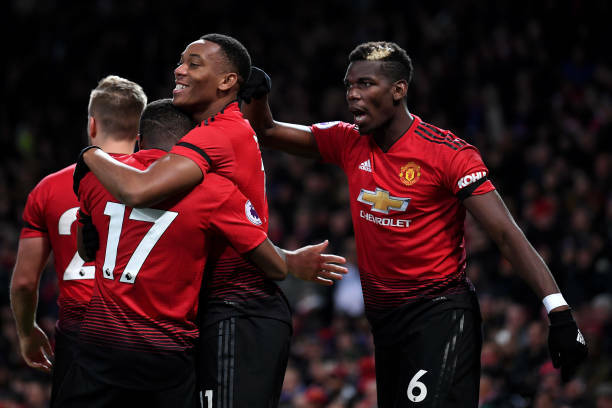 Anthony Martial then doubled The Reds lead early in the second half as he scored a fine finish in the bottom corner before Gylfi Sigurdsson scored from the penalty spot in the 77th minute to give the visitors a consolation goal.